Dynamic is a Syrah from our best vines in La Livinière. This wine is from a parcel of 0,7Ha with a soil of clay, limestone and sandstone. 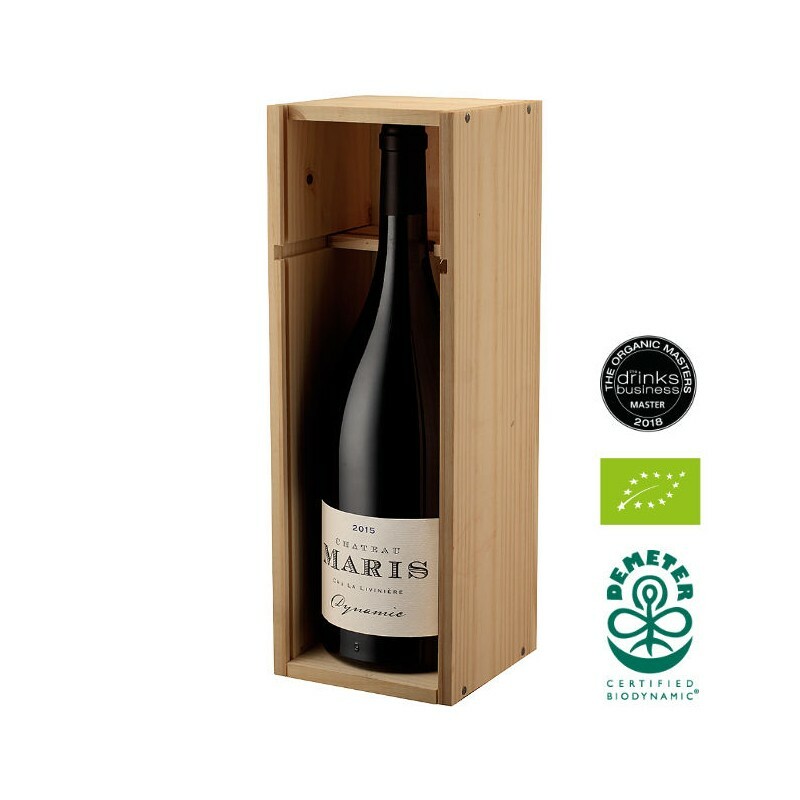 Very limited annual production, only 1800 bottles and 250 magnums per year. Awarded "Master" the highest level in both the 2017 and the 2018 Drinks Business Organic Masters competition. 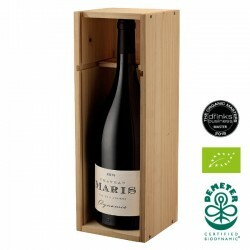 Dynamic Magnum comes in a Chateau Maris wood case. Dynamic offers up a huge nose of smoked black fruits, melted licorice, black currants and aged beef. Its inky purple color is followed by a rich, unctuous, massively rich style on the palate. Despite the richness level here, it never comes across as heavy and stays lively and fresh. Vinification : The grapes are fermented at 25C and maceration post at 28C, in wooden tanks. Extraction from punching of the cap and light pumping over during a 5 week maceration. Ageing : 16 months in 100% new 600L oak barrels. All dishes made with red meats (duck magret).